A senior congressman has said Britain will be able to strike a trade deal with the US 'as quickly as possible' after we quit the EU. 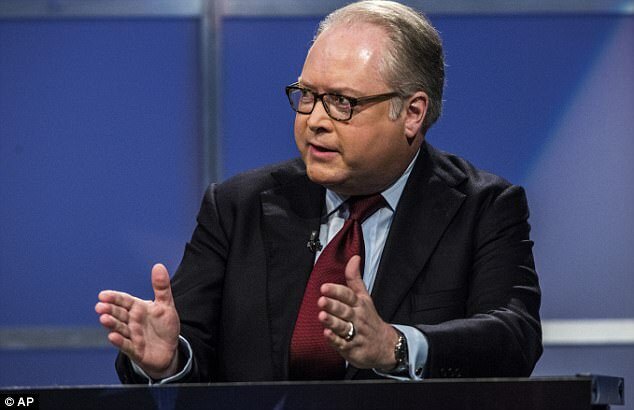 George Holding, a Republican and chairman of the British-American parliamentary group, said America is ready to get 'around the table' and thrash out a deal. But he warned if the UK stays in the customs union or highly aligned to EU rules after Brexit would be a 'mistake' and endanger the prospect of a swift deal with the US. Mr Holding, who is married to a British woman and has a dog named after Winston Churchill, said: 'Trade agreements take a long time, but the politics are very good for it. 'Our big financial services stakeholders in the US are big stakeholders in the UK. But he warned that hopes of a swift deal with America after Brexit would be imperiled if the UK continued to stay aligned to EU rules and regulations. He told Politico: 'I think that would be a mistake. 'If the United Kingdom went with an EU standard — whether it is the tech industry, financial services — and did so in a way that makes it more difficult to do something with the United States. Mr Holding said America is 'concerned' at the push among some Remainers to keep the UK in the EU customs union - saying this could stop a trade deal being done with America. He said: 'I think I understand it as well as anyone can. I don't get too flustered about it. I think you will do the right thing. 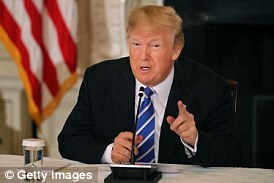 He said that Cabinet ministers including International Trade Secretary Liam Fox and Chancellor Philip Hammond have been visiting America to drum up interest in a trade deal. Mr Holding said: 'Liam Fox has been here a number of times over the past year. Boris Johnson has been here a number of times, I've been with Philip Hammond here. 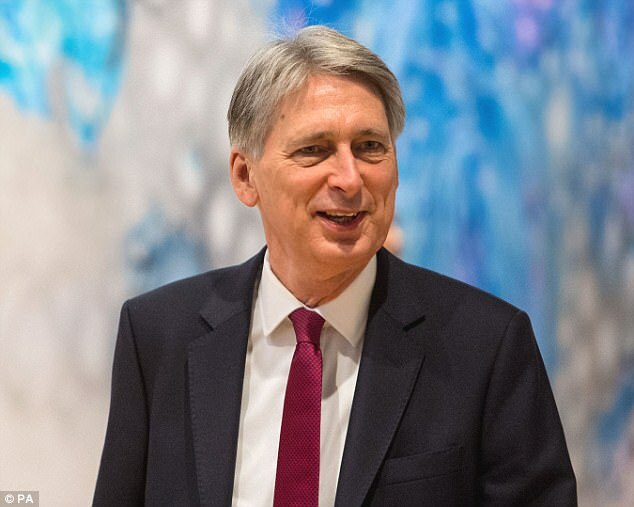 The comments come as Mr Hammond visits Sweden and Norway today as part of a Brexit charm offensive. He is meeting with politicians and business leaders to drum up support for the UK in the negotiations and for a future trade deal. While over the next two weeks a string of cabinet ministers will lay out their hopes for Britain's future in a series of 'road map to Brexit' speeches. Foreign Secretary Boris Johnson - a leading Brexiteer - is kicking off the series with a speech tomorrow, on valentine's Day - which will spell out how he hopes the country can unite behind the potential of a post Brexit Britain. What has the US said about the prospect of a post Brexit trade deal, and how has the tone changed since Trump was elected? At the height of the EU referendum campaign the then US President warned the UK would be 'at the back of the queue' for a trade deal if we quit the EU. His remarks sparked huge controversy and critics accused Mr Obama of trying to interfere in domestic British politics. The entrepreneur turned Republican Presidential candidate truck a very different tone from Barack Obama by dubbing himself 'Mr Brexit'. His friendship with Nigel Farage encouraged Donald Trump to embrace the UK's looming departure and talk up the prospects of a trade deal. The powerful Republican speaker of the House of Representatives said the US stands ready to do a trade deal with the UK as soon as possible after Brexit. Paul Ryan made the comment while on a trip to meet with Cabinet ministers in the UK. The US President promised a 'very big and exciting' trade deal with the UK after Brexit, in a post on Twitter.